Lava flow from The Big Island of Hawaii’s Kilauea volcano may have a stalled leading edge in the town of Pahoa according to the latest update from the U.S. Geological Survey, but that doesn’t make it any less dangerous. Local authorities have cordoned off the area, which didn’t stop a local couple, who were later arrested, from trespassing and getting to within feet of the flow. They took a copious amount of photos and even prodded the molten rock with golf clubs and kitchen utensils, as reported by hawaii247.com. 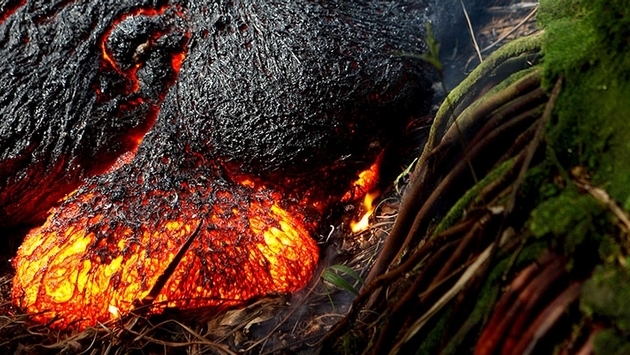 This is highly discouraged, as lava can exceed 2,000 degrees Fahrenheit, and one wrong move can result in a very bad day. As noted by Travelpulse’s own Ryan Rudnansky, the area’s only tourist attractions are nature-related, including Lava Tree State Monument, and Nanawale Forest Reserve. They are right in the crosshairs of Kilauea, so fans of out-of-the-way, natural Hawaii are encouraged to seek such ambiance elsewhere.